Your life is unique, your life is yours. You might often find yourself tangled in what seems to be the routine of your everyday life, but it doesn’t have to be that way. Here are some life-expanding tips I’ve put together in hopes of lighting a spark in all who read these words from my mind-spill. This will give you something to look forward to; this will pave the path to mingling with goals. 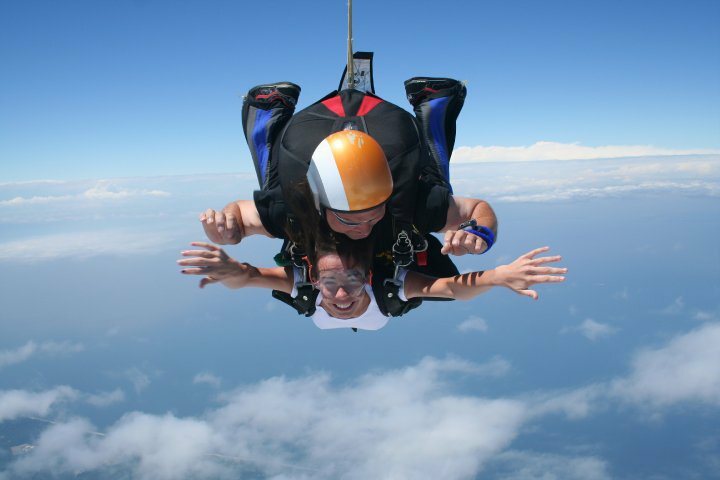 Want to jump from a plane? Travel across the world? Learn a new language? Write a story? Run a mile? You have a life and you have a mind, so use them, love them! Life has so many gifts for you — you have to unwrap them. Once created, it’s good to keep your bucket list in a place where you will see it. Showing it off to others can help you get moving on it too, since then they can either join you on some epic quests or support your life-loving ideas. Being uninspired can often leave you feeling stagnant. Know that being physically strong and flexible also makes you mentally strong and flexible, cooking up the recipe for an open mind. A good way to guide yourself to a better mental state is to get your body involved in some good fun. Hiking, rock climbing, biking, dancing, kick-boxing, yoga. An open mind and a strong body go a long way, and these experiences make for good stories to inspire others. Expand your world — you’ll never know what you’ll find or who you’ll meet. Get out there and do something spontaneous! Take a trapeze class, sit in on a lecture that’s new to you, reach out and become a volunteer, write a poem and read it aloud. These things can only make you a better and more well-rounded human being, and you’ll learn about yourself in the process. Hello, Pinterest. Check out all those neat DIY ideas that are totally doable, no matter how amazing they look. You are amazing, so you can do it. Be inspired. Use your hands to craft something straight from your mind. Write, sew, finger-paint. Get that creativity flowing, and it will last you a long time. It will also give you more character and a better appreciation for your wonder-stricken life.